That was the first thing on our to do list. I was barely able to stutter the word cancer, but the surgeon who had performed mom's biopsy was leaps ahead of us. While our brains were frozen at the word cancer, he was rattling on about specialists, oncologists, and tumor markers. Somehow those three words penetrated our brain paralysis. Find an oncologist. Not just any doctor, but find a cancer doctor. That would be an oncologist, a doctor who specializes in cancer care. And basically that was our to do list in those first few days after mom’s biopsy and diagnosis. Simply find a doctor. We didn’t know what else to put on the list. Finding a doctor was like finding the magic potion. I think we all thought it was that simple. Find doctor, get mom cured, live happily ever after. Not so simple as it turns out. We didn’t just happen to know any oncologists. And we’re talking about trusting mom’s life with this person. You don't really just want to pick someone out of the yellow pages, trust me on this. Finding an oncologist is an important decision, and one we felt particularly nervous about. The pancreatic cancer diagnosis begged an immediate response. And we made some colossal mistakes is this department. Probably out of that frantic panic we felt to do something right now. First lesson I can share is take a breath. You have some time to do your research. Yes, you need to find an oncologist, but no, you don’t have to do it today or tomorrow. You do need to do it soon, but take a breath, absorb the diagnosis, do some research and make an informed decision. No one gave us that piece of advice, unfortunately, so we flew headlong into the phone book, looked up oncologists and found the closest one. Didn’t know him, or know anybody that had used him, but his office staff seemed nice and concerned and got us a quick appointment. The doctor’s warm and compassionate bedside manner charmed us immediately. He was insistent that he would do everything to alleviate mom’s discomfort and increase her quality of life. He seemed to understand our distress and assured us of his concern, even while explaining that the average pancreatic cancer patient only lived 3-6 months from time of diagnosis. I look back on our naivete and can’t believe we were so foolish. Mom lost precious months fighting the battle, while this first oncologist, who lived close, wavered on her treatment. After her first 2 Gemzar treatments, a blocked stent caused him to abort her chemotherapy altogether, and left her hanging for two months. Two months, while the tumor got a foothold and laughed at our indecision. After repeated calls to his office, mom finally got him to agree to radiation therapy, but even then he was indecisive about using the continuous 5-FU that the radiation oncologist recommended. His plan seemed to be only to make mom comfortable, since she only had 3-6 months to live. He might be surprised to know that mom has far outlived his dire prognosis! It was about this time, haggling with him over the continuous 5-FU chemo, that mom’s nursing instincts took over. She shook herself loose from the apathy and depression of the terminal diagnosis, and started thinking rationally. She had been retired over 5 years from the nursing field, and had moved out of the Dallas/Ft. Worth area, but she still knew most of the physicians that worked at her old hospital. 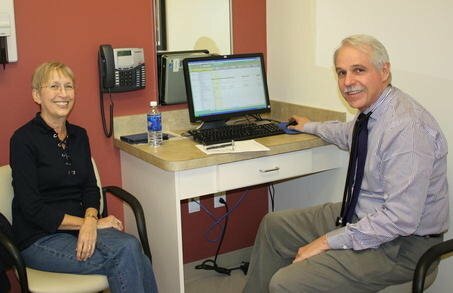 She put in a few calls to several of the oncologists that she remembered and was able to get a second opinion in short order. Looking back now, I can’t believe we were all in such a fog. It happens to the best of us. Even with mom’s nursing background, the cancer caused a major brain fart, as she would say, and we made some very poor decisions. How did we ever think it was ok to find an oncologist thru the yellow pages?! But finally we were on the right track. The second opinion led mom to change doctors. And we haven’t looked back. It was and has been the best decision we could have made. So, if you’d like to avoid the mistakes we made, then here are some suggestions for finding a good oncologist. Someone you can trust with your life. 1)	Ask for a referral from your primary care physician. 2)	Be open to the suggestions of family members, coworkers, or friends. 3)	Check with your local hospital patient referral service for a list of oncologists who practice at that hospital. 4)	Check with your insurance plan. They can give you a list of doctors in your area that also are in your network. 5)	Use the internet to find a doctor. But do it responsibly. Mom and I have used several websites to check doctor ratings and get doctor reviews. Two good free resources are Healthgrades.com and Vitals.com. But as always, use common sense when surfing the web. Not all sites are unbiased. We like the reviews that are honest, authentic and can’t be edited by the physician or the site host. 6)	You might also want to check the American Medical Association DoctorFinder database to find an oncologist in the U.S.
7)	You may want to consider a national cancer center for your treatment. They offer the latest in treatments and have good success in treating many cancers. Because treating cancer is all they do, a simple phone call puts you on track to find an oncologist who is dedicated to the cause. The downside is that for most of us, using one of these centers will mean a long drive. How will that work into your treatment plan? Do you have a loyal support group, available drivers, family/friends that are willing to make these trips with you? All things to consider. There are actually quite a few cancer centers to choose from. Cancer Treatment Centers of America has facilities across the United States and offers a collaborative, multidisciplinary team of experts that works alongside you, tailoring a treatment plan for your specific pancreatic cancer case. They also offer advanced medical treatments and technologies, including options for advanced stage cancers and complex cases. You can also check the National Cancer Institute Centers. The NCI Cancer Center Program supports research-oriented facilities across the nation that are known for their scientific excellence and their ability to pull together and focus many kinds of research approaches on the cancer problem. They offer a comprehensive list of facilities organized by state. Both of these resources make it much easier to find an oncologist. This is what they do day in and day out. They facilitate your case from the minute you call for information, assigning you to a cancer doctor and medical team that is devoted to your well-being. 8)	And finally, you can always check the yellow pages. In all honesty, you may find a wonderful oncologist this way. Our experience, hopefully, is the exception rather than the rule! It is important for you to feel comfortable with the specialist that you choose because you will be working closely with that person to make decisions about your cancer treatment. Trust your own observations and feelings when deciding on a doctor for your medical care. Also, it’s always a good idea to bring a family member or friend with you and get their opinion as well. * Does the doctor listen to me and treat me with respect? * Does the doctor explain things clearly and encourage me to ask questions? * Is the doctor board-certified? You can verify with his office, or check one of the above websites such as Healthgrade or Vitals. *Which hospital does the doctor use? Make sure your insurance covers this hospital. Unless you have access to a bank vault to cover your out-of-pocket expenses. *How are the staff? Cordial, Sincere, Efficient? You will be dealing with the staff almost more than with the doctor. Make sure you find them accessible and caring. If Find an Oncologist is on your to do list. Take a breath, and start here. You want the very best medical team on your side during this fight. And you want to know that the driver on this trip has a roadmap for your treatment. An up-to-date, current map designed with your wholeness and healing in mind. It is a treasure to find an oncologist who acknowledges you are more than just a passenger on this journey. A doctor who treats the person, not just the cancer. Don't give up until you find him. Your life depends on it.